How is China developing AI technology so much faster than the US? China's centralized, authoritarian government helps it streamline innovation without concern for civil liberties like privacy. So what does the U.S. need to do to compete? That challenge has become more pronounced with a strategy in China for “civil-military fusion," an effort to expand collaboration between civilian and military research and development, as part of a broader effort to wean the country off foreign dependency. “It sounds basic and obvious, but for the Chinese, it’s a departure given past reliance on state-owned enterprises, which are pretty clunky,” said Rep. Mike Gallagher, R-Wis., during an earlier panel focusing on U.S. competition with China in technology. 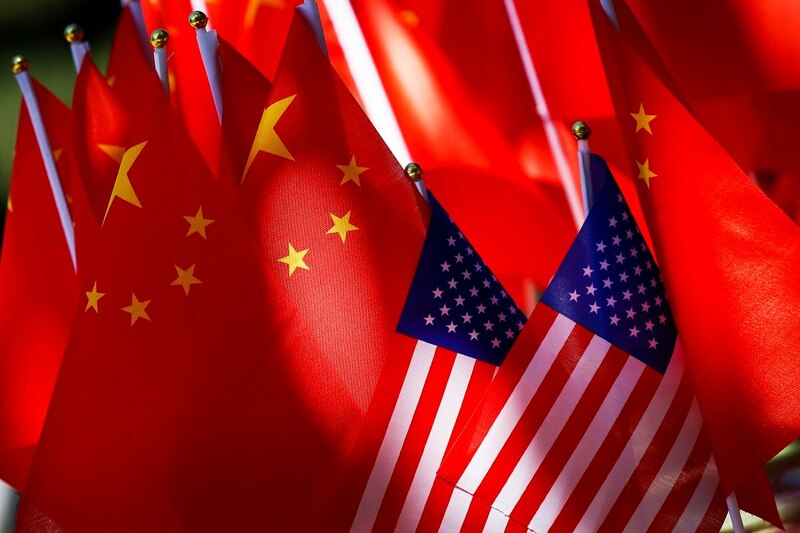 That intermingling of military capabilities and commercial technology investment also complicates U.S. efforts to balance cooperation with China, through trade and nuclear deterrence efforts for example, with competition in its technology capabilities. “I think the wisdom in the current moment lies in recognizing this is not a country we share long term interests with,” Gallagher added. Participants in both panels emphasized the need for the country to establish standards in technology development that can extend beyond the United States to allies, creating power en masse to both compete against China and also protect the nation’s own systems against tactics that perhaps blur the lines of what U.S. military leaders deem appropriate behavior. In the case of cybersecurity, “we have never been clear in our requirements. We say cyber, we have high-level standards, but we haven’t disaggregated them where we measure against them clearly,” said Ellen Lord, the Pentagon’s under secretary of defense for acquisition and sustainment. “And we just have to. It comes down to design requirements, performance requirements, and being clear from the onset. The Pentagon also needs to work fast, to maintain technological superiority and to attract talent from the technology community, which is accustomed to moving quickly and accepting a degree of risk. “We have to think a lot smarter if we’re going to beat" China and Russia, Luckey said. “We’re good at building iterative improvements of things we already understand. But when it comes to these new technologies, we’re slower moving. But we have to move ahead full steam. Otherwise, Russia and China will write the norms. By the same token, the Pentagon is struggling with an image problem of its own, as pockets of the Silicon Valley community object to tech development that can or will support military operations. That sentiment was on display at Google this summer, when thousands of employees signed a petition asking the company to cancel its contract for the Project Maven program focused on AI. The company opted not to renew the deal after the backlash received national attention. “We’ve been clear [to employees]. We’re going to provide the U.S. military with access to the best technology we create, full stop,” said Brad Smith, president and chief legal officer at Microsoft. “But we also said we’d engage with the ethical issues new technology is creating. When people have questions about what it means to have robots that can kill people with or without human intervention, it’s important to show that the country is thinking about these things." The objections are generally from a small faction of the Silicon Valley community, added Luckey, pointing to the importance of understanding the benefits advanced technologies can offer the military without crossing ethical boundaries.